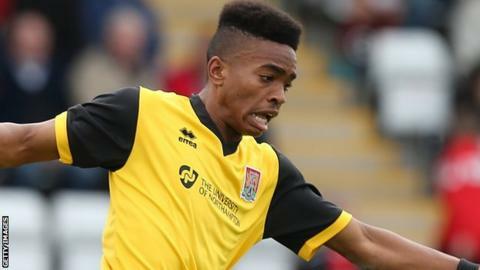 Northampton Town manager Chris Wilder says he now expects striker Ivan Toney to stay with the club beyond January. Toney, 18 was linked with Wolves last November before the deal fell through. He has scored seven goals in 27 games this season, but he has not started a game since a three-match ban after his sending off against Bury on Boxing Day. Wilder told BBC Radio Northampton: "There's been no further interest in Ivan. He's got to play well to get in the team, and when he comes on." The Cobblers boss said he was pleased to have competition for places in all areas of the team. "Ryan Cresswell and Lee Collins only have to look and see that there's a player of Zander Diamond's ability and attitude in the stand," Wilder continued. "Zander knows the situation. It's not just him - Carter, Tozer, Hackett, Toney - all those lads have got to be ready to go into it. We have got decent options on the bench." Northampton have terminated the contracts of six players so far this month and Wilder is still looking for new recruits to add extra depth. "We still think we're maybe one or two light on numbers, and we'll work hard in the window to plug that," he added. "We're hopeful that we can bring in a forward that stretches the game and possibly somebody to cover Evan Horwood at left-back. "But it's a settled group and we need this to get some consistency in performances and results." Is this the most open FA Cup ever? Read more on FA Cup: Is this the most open competition ever?